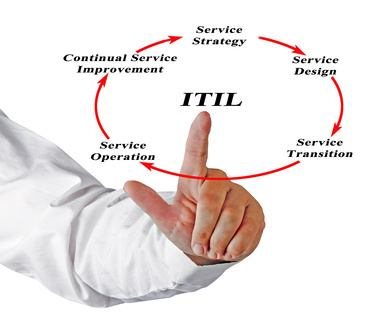 Our ITIL 4 Foundation course covers the basics of the ITIL framework. It is aimed at giving delegates an understanding of the philosophy behind ITIL and preparing them for the ITIL 4 Foundation certification exam, which they can sit at the end of the course. This course is suitable for those who work with IT processes, optimization of IT services and the like. These are mainly IT managers, IT specialists, process, project managers and all those who are governed by those processes. Our ITIL Foundation is a 2 day course with the official AXELOS ITIL Foundation certification exam sat after the course (usually in the morning of the third day). It consists of a balanced mix of theory and practical exercises and is led by one of our ITIL Approved Trainers. The basic processes lifecycle, activities, inputs, outputs, links to other processes, benefits and potential problems. For maximum effectiveness and high exam success probability, we strongly recommend our students to dedicate 10-20 hours to pre-course preparation using materials and instructions provided by us. We further recommend spreading this pre-course preparation evenly across 1-2 weeks before the course. The course can be delivered in English or Czech. The training materials are available in English. The exam can be taken in English and Czech. Detailed pre-course instructions, that will enable you to get the best out of your course and get the most out of it. Our full colour Event Manual with presentation slides, exercises both full official AXELOS sample exams with detailed rationales. At the end of the course delegates can take the ITIL Foundation certification exam. We run our courses as open, semi-open and in-company. If you are interested in a tailor-made in-company training offer, please contact us. For a pricd offer, please contact us. If you adhere to all trainer's instructions, participate in the whole course and in spite of that do not pass the ITIL Foundation exam, you can repeat the course with us once more for free. You have to pay just the re-exam fee. If you obtain a better price offer for an accredited ITIL Foundation or ITIL Practitioner course in the same location, time period, delivered by a comparably experienced ITIL Approved Trainer with guarantees comparable to ours, we will beat it - just present it to us. In case your employee, who took ITIL project management training with us paid by you, terminates employment with your company you can take advantage of our know-how retention guarantee. It means that a replacement employee nominated by you can attend the same course for free. You will pay only fee for his lunches & refreshments during the course and cover the certification exam fee (if she/he is to take a certification exam).